This program introduces you to the Sidemount multi stage configuration whether you intend to use additional decompression cylinders or use additional safety gas in open water or overhead environment. It is suitable both for Sidemount recreational divers who intend to start their journey to more technical levels and for existing technical divers who wish to transition from Backmount to Sidemount configuration (a number of underwater skills will be taught slightly differently, but fundamentally the training will be the same). This course can be attended either as a stand-alone course or in conjunction with Technical courses such as Advanced Nitrox and/or Decompression procedures. Land Workshops including Technical Sidemount system configuration and stages configuration (rigging and regulators) review, gas loss, gas switches and emergency procedures. Theory covering pre-dive planning including runtime management, gas choices, gas rules for decompression and overhead environment, gas management, SAC rate calculations. A good basic Sidemount foundation and experience is best to enrol in such course. Rates vary depending on courses, locations, certifying agency and are available upon request. Technical Sidemount and back mount configurations have different applications. You might develop a preference for one or the other. However mastering both over time will broaden your field of expertise and you might find that one configuration feature can somehow inspire the other. Easier access to cylinders valves and protection of first stages tucked up under your armpits shielding them from potential hazards when diving restricted places. 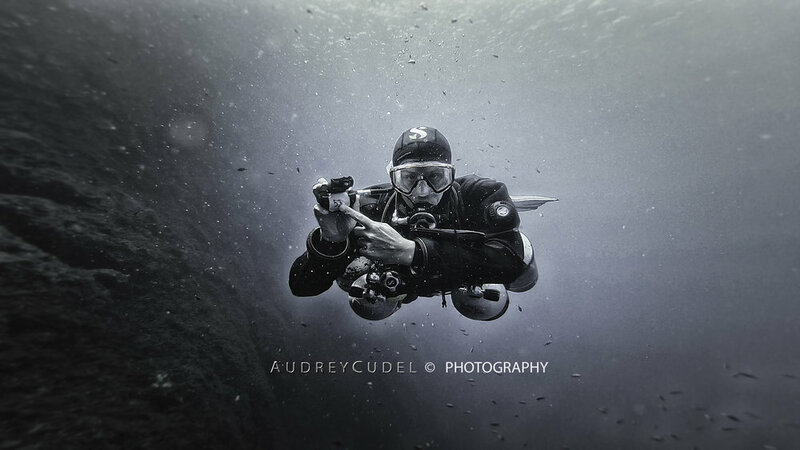 Beyond the environment you intend to dive into, there are actually more factors coming into play when choosing to go Tech Sidemount. What are your physical limitations ? If the dive site is at some walking distance, you’d rather walk light a couple of times than sweat lifting all cylinders in one go. How easy is it to access the water ? If you consider entering/exiting from a boat or from ladders after a deco and/or cave dive, it might wiser to don/doff your equipment directly in the water. What is the equipment available on site ? There are more chances to find allies 80cf and standard DIN steel tanks around the globe when some twinsets might sometimes be hard to find.